Delta IELTS Advantage - серия пособий для совершенствования ключевых навыков владения английским языком (Чтение, Письмо, Говорение и Аудирование) в рамках подготовки к сдаче Кембриджского международного экзамена IELTS. Пособия направлены на получение оценки 6.5 и выше. IELTS Advantage: Speaking & Listening Skills is a comprehensive resource for achieving 6.5 or higher in the Speaking and Listening modules of the IELTS exam. Students are guided step-by-step through the different stages of the speaking and listening modules, using lively material covering a wide range of the topics that are likely to occur in the exam. The step-by-step approach guides students to success using features such as Try it first!, Spotlight on language, Exam skills, Prepare and practise and Pronunciation focus. There are plentiful exam-practice opportunities, and students can compare model speaking tests with their own versions in order to acquire further useful ideas and strategies. IELTS Advantage: Speaking & Listening Skills: shows students how to give the well-structured, detailed replies that examiners are looking for in the speaking module; contains numerous audio examples of model speaking test performances on the accompanying CD; covers a wide range of the key grammar and vocabulary that students will need to give their best possible performance in the exam; advises on strategies for getting the best possible score on the day of the exam; explains the formats of the listening module, and how to answer them successfully; includes exam practice material covering all parts of the listening module; and includes audio exam practice material for the listening module. IELTS Advantage: Reading Skills is a fully comprehensive resource for passing the IELTS Academic Reading Test with a grade of 6.5–7.0 or higher. 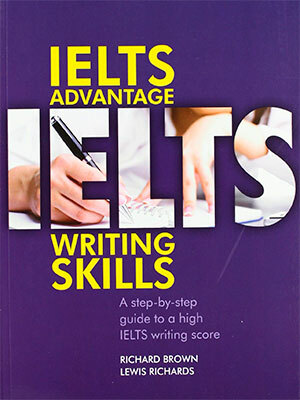 Students who are taking the General IELTS Test can also benefit from the book. 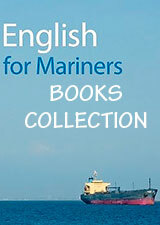 This book teaches a range of key strategies for reading more effectively and for understanding texts more easily, such as skimming, scanning and speed-reading techniques, helping students to get a better result in the Reading paper. Each of the ten units provides a variety of long and short texts that cover major topic areas likely to appear in the exam.